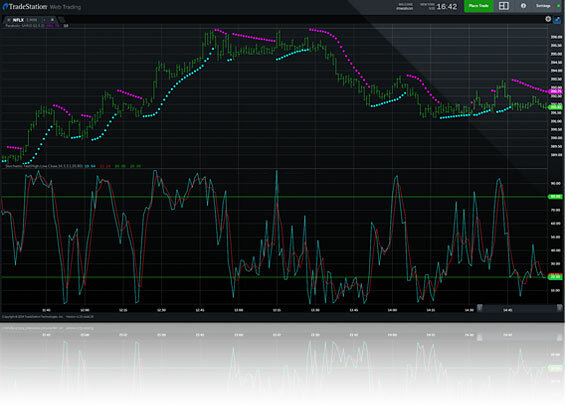 Web Trading from TradeStation is their intuitive, easy-to-use trading platform you can access from your web browser – Mac or PC. Securely log on through your favorite web browser to create a chart, check a price, place a trade or manage orders and positions. 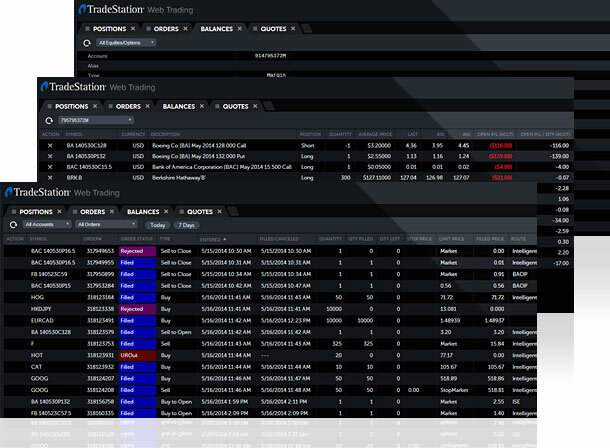 The powerful web-based platform gives you streaming real-time data and lightning-fast trade execution – the same essential capabilities featured in TradeStation’s desktop software. The Web Trading app isn’t limited to trading. It also comes with fast, convenient and surprisingly rich charting capabilities, including many of the features most valued by active traders, such as symbol and interval linking and the ability to draw charts with the most commonly used indicators in TradeStation. Not sure of a symbol? No problem. Instant Symbol Search’s intuitive interface does the work for you, helping to locate symbols quickly and efficiently. 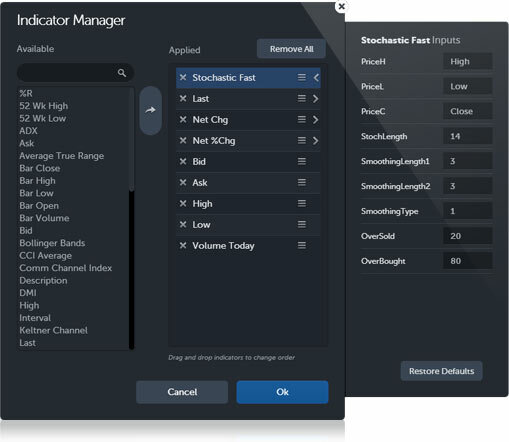 Web Trading also includes Indicator Manager, a custom feature that allows you to easily add and remove indicators, change the order in which they appear in your Chart and Quote views, and customize indicator input to your liking. With Web Trading you are able to access your most important account information from any web browser, anywhere, at any time. Easily switch between accounts to monitor balances, buying power, orders and positions. 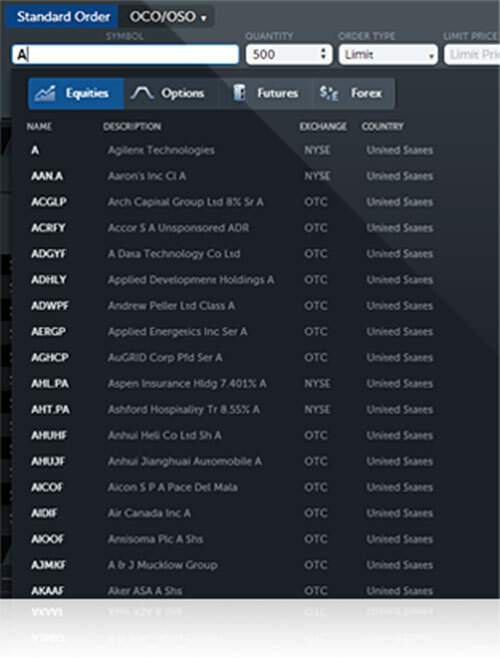 The Web Trading app simplifies order entry for futures. The streamlined interface allows you to quickly respond to trading opportunities with the click of a button. 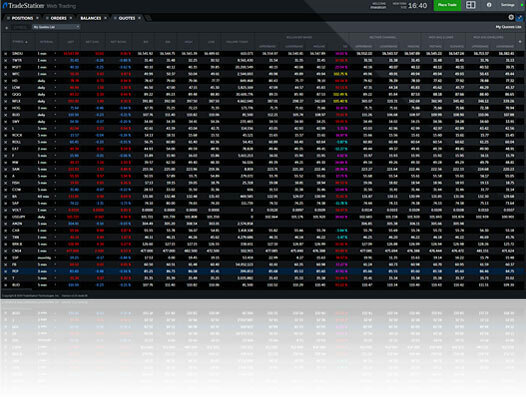 Simply select a symbol and enter the size, order type, route, and duration of your trade.